A media kit can be thought of as a summary of a website; it should highlight relevant characteristics of the audience, give an overview of what can be found on the site, and list some of the advertising options that the salesperson or sales team can include in a proposal. There are a number of options when creating a media kit, but they are generally a few pages long and seek to convince potential advertisers of the value in selecting a particular site for their campaign. 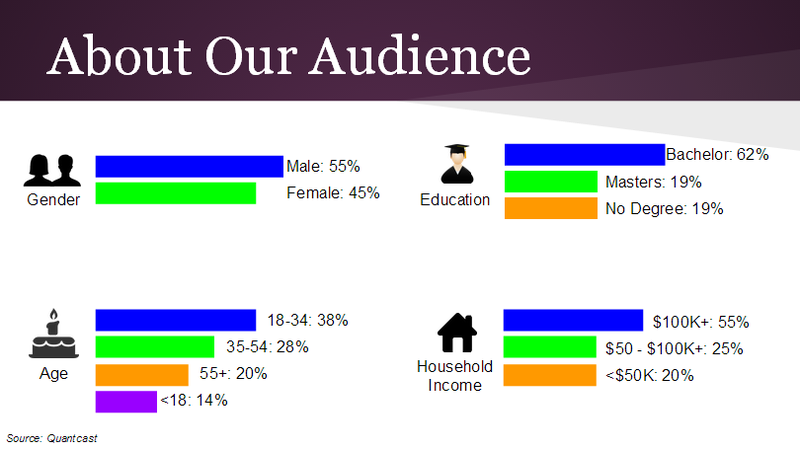 The “meat” of a media kit generally includes demographic information and other statistics that can help anyone not familiar with the site to understand the makeup of the audience. Click here to view the MonetizePros Media Kit Template (PowerPoint version). If you’re planning to use ad networks such as Google AdSense or Media.net to monetize your ad inventory, you probably don’t have much use for a media kit. But if you’re going to be selling ads directly to advertisers, a media kit is one of the most important documents you’ll make. This is your chance to convey the value of your audience to advertisers, as well as to highlight the ways that they can run campaigns on your site (i.e., the ways they can give you money). Quantify your audience. Obviously, you’ll want to paint your audience in the most positive light possible in order to make your site attractive to advertisers. Clearly communicate advertising options. A media kit should make it clear to the potential advertiser what types of options are available on your site, including standard display ad units and more advanced / custom placements such as mobile sponsorships. See the links above for examples of media kits that successfully accomplish one (or both) of these key objectives. Though the length of a media kit can vary depending on the publisher, it’s generally best if this document is relatively short. Though it may be tempting to create a lengthy, professional kit, the reality is that most users will be looking only for a couple pieces of data and will not spend a significant amount of time reviewing. 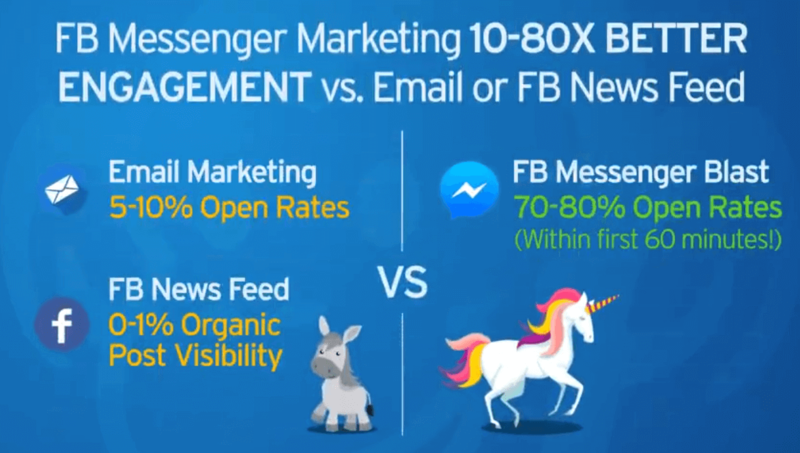 Many publications make lengthy media kits with detailed highlights of team members and site features; most of this “fluff” is ignored by potential advertisers who really want to understand the makeup of the audience and the advertising opportunities. Site Overview. This is a simple explanation of the site’s goals and features. Audience Stats. This can be very basic (such as the size of the audience) or very advanced (for example, including detailed breakdowns of spending habits, gender, or other descriptive factors). Advertising Options. This should detail how advertisers can spend money on your site. This section may include screenshots of ads live on the site. Contact Information. Because many readers of your media kit will find it without getting in touch with you first (more on this below), you should always include a name, emails address, and phone number that makes it easy to get in touch with you if they’re interested in getting a proposal. The decision to include a rate card in your media kit is a big one. If you are hoping to charge relatively high CPMs for your ad units, it may be better to exclude rate information so that you don’t scare off potential advertisers. Excluding the rate card also lets you show different rates to different advertisers, depending on what you think they’ll be willing and able to pay. A media kit should be available in PDF form to be downloaded from your website. If possible it should be smaller than 2MB in size, and should be updated at least quarterly with the latest information (ideally, the title slide will include the date of the last update in order to convey that the information is fresh).